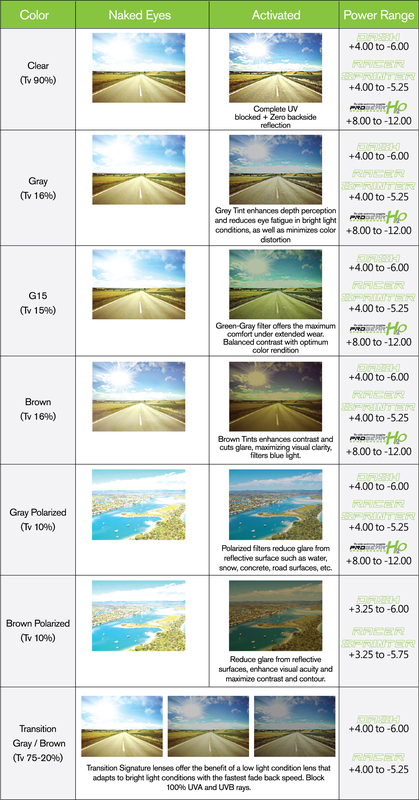 Anti-reflective coating, 5 attractive color Mirror coatings, Hydrophobic and Oleophobic coating are available as options for a variety of sports purposes. Mirror coatings are an effective add-on for high glare situations and the cosmetic improvement of your Progear Sportshades. They simply reflect away excessive glare when reaching lens surface. There are many colors of mirrors and degrees of density. A heavy mirror will block more light than a thin flash mirror that one can see a person’s eyes through. 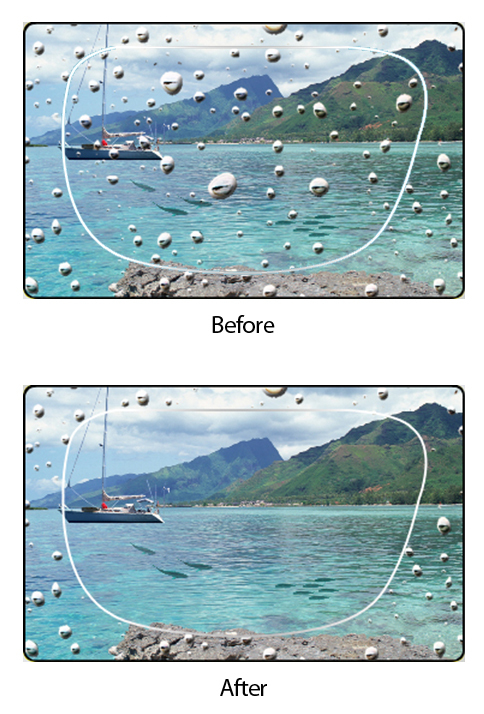 Hydrophobic and Oleophobic coating shed away water drops and grease and reduces stain on lens. A great feature during sweaty sports and makes the cleaning of lenses easy.